Russell Moore writes an interesting piece in The Christian Post entitled “Catacomb Christianity and Cathedral Christianity.” As we writes, Moore is in Rome leading a seminary study tour, and there are indeed a few things in Rome to study and tour that relate to early Christianity. 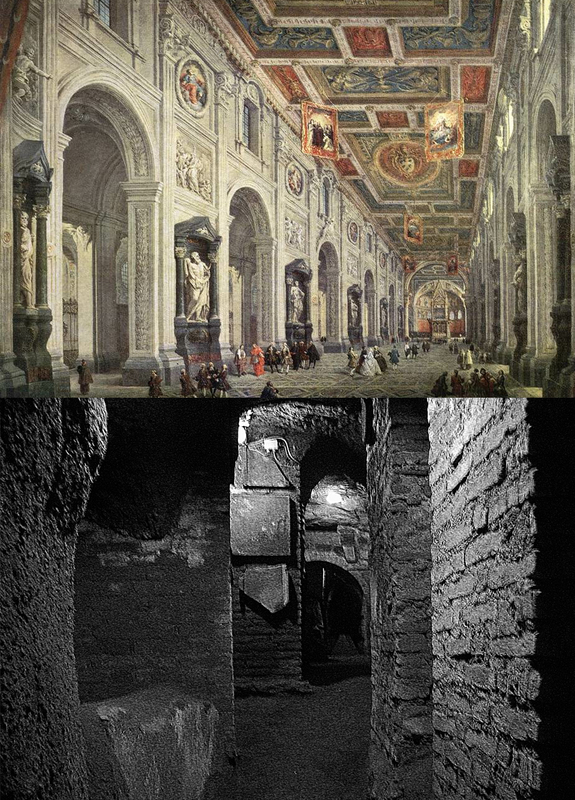 In Rome there are great edifices built to celebrate and proclaim the Christian faith (like the Saint John Lateran Cathedral) and there are the ruins of the ancient catacombs where earlier Christians worshiped during the dark days of Roman persecution. 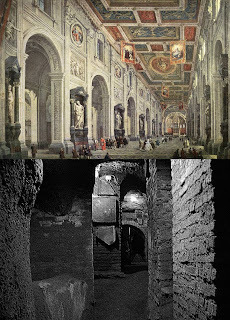 The catacombs and the cathedrals, says Moore, remind us of the paradoxical ways in which God works to show us His grace. The catacombs remind us of the desperate faith of our persecuted ancestors that lived and grew in the valley of the shadow of death. The cathedrals remind us that that ancient faith not only survived and thrived, it far outlasted the powerful forces that were so marshaled against it. We can't romanticize the early persecuted church. After all, the New Testament Scriptures are often rebuking those churches for precisely the things we see going on in our churches today: division, carnality, immorality, arrogance (1 Cor. 4:7-13, 5:1-8, 6:1-8). And, if Christianity had remained in the catacombs, it is quite possible that you and I would have never encountered Christ. The basilica at Saint John Lateran was planted there by the Emperor Constantine. His vision of a Christian empire was, of course, a failed experiment that led to persecution and all sorts of nominal Christianity. And yet, God used Constantine to end a bloody persecution and to, among other things, call together the church to deal with a deadly heresy or two. In the providence of God, the Trinitarian theism by which I critique the idea of Christian empire came down to me due, in part, to the unwitting actions of the prototypical Christian emperor. The kingdom of God is vast and tiny, universal and exclusive. Our story is that of a little flock and of an army awesome with banners. It's a Christianity of persecution and proliferation, of catacombs and cathedrals.